Love of God: "Love the Lord your God." Love of Other: "Love your neighbor." Love of Self: "as [you love] yourself." As I thought about these loves and their different emphases I was struck how they exist in tension with each other. For example, in Unclean I spend a great deal of time talking about the tensions between mercy and sacrifice in stories like Matthew 9.9-13. 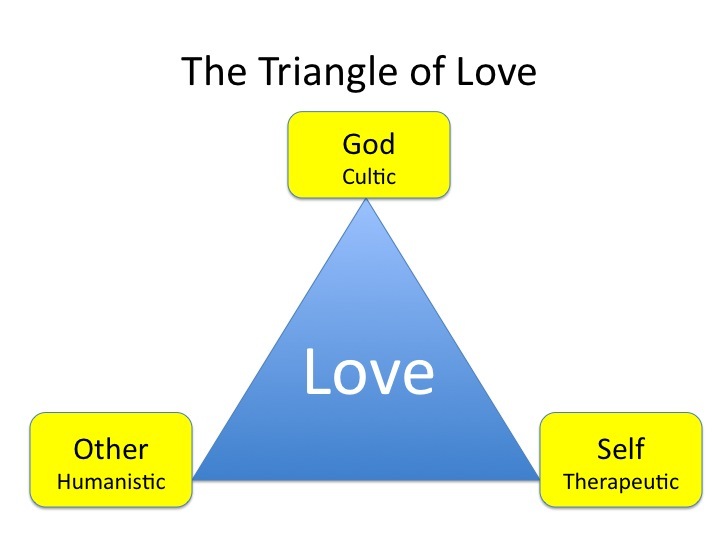 In that story we see cultic love ("sacrifice") coming into conflict with humanistic love ("mercy"). I also discuss in Unclean the tensions between love of self and love of others. I recently wrote some more about this and received some pushback from some of you. Recall, I've expressed some skepticism about the modern therapeutic focus on healthy boundaries. However, many of you have argued that healthy boundaries, as a form of self-love, are necessary before we can love others in a healthy way. Thus we face another tension: Love of self (setting boundaries to preserve the self) and love of others (allowing the self to become expended on behalf of others). Using this model we can examine/describe various faith communities by looking for imbalances, where one vertex/corner might be being privileged over the other two. For example, when we find self love dominating in a faith community we have a group strongly focused on self-care and therapeutic issues (e.g., self-esteem enhancement). In communities where cultic love dominates we'll find a strong focus on pleasing (or displeasing) God, often through correct doctrine and rituals (e.g., religious dogmatism and fundamentalism). Finally, in communities where love of other dominates we'll find a strong humanitarian and humanistic community, with lots of discussions about things like justice and poverty. We might even go further and create two-point codes showing how particular faith communities combine two loves to create a distinctive life. For example, a Unitarian group might get a SO code (Self/Other) if they have a therapeutic/humanistic vibe, with little interest in "religion" (the cultic love). A social justice oriented evangelical group (think Jim Wallis or Tony Campolo) might have a CO code (Cultic/Other) where there's a strong impulse to obey God that is mainly expressed through social justice activism. In contrast, more conservative evangelical churches might get a CS (Cultic/Self) code where obedience to God mainly results in benefits for the self, either salvifically or therapeutically (I'm trying to capture in this the huge self-help aspect of a lot of contemporary Christianity). The ordering of the codes might also be used to communicate relative emphasis. For example, your typical therapeutic evangelical community might get a CS (Cultic/Self) ordering, but someone like a Joel Osteen might get that switched around with a SC (Self/Cultic) ordering to communicate an excessive focus on self love (where we start seeing that health and wealth gospel stuff emerging). I'm just brainstorming with all this. Anyway, to wrap this up, it does seem like some sort of balance is the key. And in light of that, I'm intrigued by the trinitarian structure. So what do you think of this model? And for those of you in the social sciences or working with churches, have you seen a model like this anywhere else? Your last comment about the Trinintarian structure intrigues me and sets the cogs turning. To what extent do Christian and Churches at different vertices on the diagram have a different view or emphasis of God. Do we see a more incarnational, Jesus focused woship among O Christians, a greater pneumatological or charmismatic emphasis among the S's and a stronger use of creator / father representations for the C's. Is a strong and balanced view of the Trinity therefore an answer to the imbalance implied in any of these over-emphases? ought to initiate a proper love of self and others? this map relative to the phenomena of others? Interesting. I am still grappling with what it communicates. I have another model that I use. I will try to post it sometime soon. At the least, it would be worth some effort on your part to work out the role of the Holy Spirit in communicating and reconciling these different loves. It's not the exact same, but I saw something similar in A Passionate Life by Mike Breen - he communicates ideas with shapes and has a triangle where he talks about a balance of relationships "Up" "In" and "Out" - loving God, loving the church, and loving others...it actually might be interesting to look at "in" and "out" regarding love and boundary psychology, but it doesn't include the self in the triangle. I look forward to reading your posts on all this. 1. I don't see how this is a trinitarian structure. 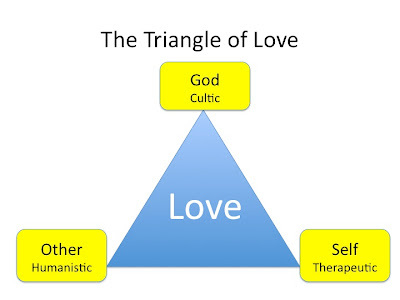 Cultic, Humanistic, and Therapeutic love are all types (or "modes") of love; however, the Father/Son/Holy spirit are not, per orthodox trinitarianism, modes. That's obviously modalism, which is considered heretical in most circles. The only real semblance this has to trinitarianism is that there are three members of the set and each member relates to another member. 2. You imply that it's possible to be SO, and missing the cultic. However, is it possbile to love others without loving God? Is he so detached from others that SO love is even possible? Interesting concept. I once tried to do something similar by creating a triangle out of the Godhead and demonstrating how different churches failed by becoming imbalanced toward one or the other corners of that triangle. I wonder if that could somehow be incorporated in what you're talking about here. "Do this to remember me..."
It occurs to me that what has become ritualized as communion, if it were to be taken literally, would bring all three "points" of your triangle together. Could it be that what was intended as a transformative act has neutered by turning it into mere symbol? Wow, I think your graphic and explanation are very helpful in explaining something that tends to be theologically complicated. The fact that differing views/positions are taken by those in distinct religious/faith traditions further blurs the picture. Balance seems key. I so appreciate the creative thinking and discussion here on this blog! I'll simply add to the brainstorming and concede my suggestion may be wrong. I like the triangle, but I think it's missing something else. Perhaps consider a three-sided pyramid, where you need to add one more node. The other node is "T" for "tribal" love. This would manifest in love in the faith community focused in a limited fashion ONLY on the faith community. It views the faith community as family, and following from evolutionary theory, it will show altruistic tendencies toward kin but not necessarily towards non-kin. Such a Tribal love won't care about broader humanity (H), but isn't focused exclusively on self (S) either. Such communities may/may not have balance with the Cultic love, but the main emphasis is on loving their community as family. More practically, this would appear in churches that invest heavily in things that encourage social engagement within the community, benefits to the local group (e.g. 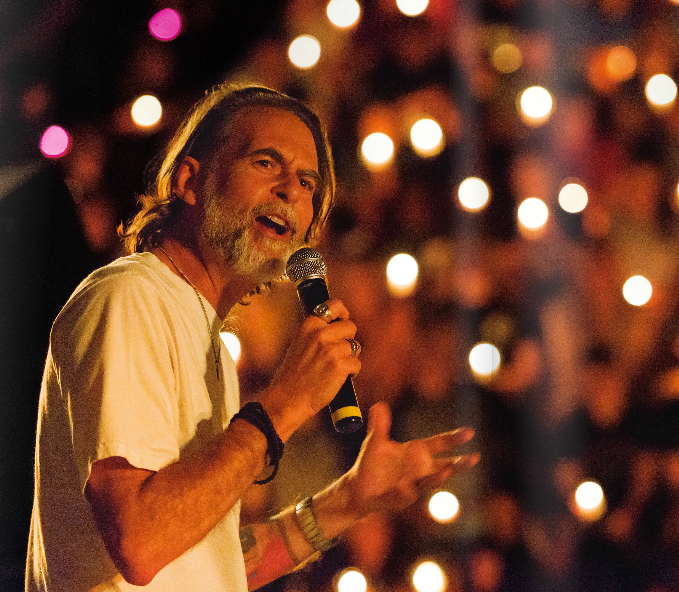 coffee bars, on-site schools, children's ministries, etc...), and making sure we're all "plugged in" to the community. While such benefits can be accessed by others, it usually requires some association with the Tribe. Does this work at all? Hey, maybe a Girardian analysis of http://www.washingtonpost.com/opinions/the-scapegoat-strategy/2011/10/13/gIQArNWViL_story.html sometime? :-) It's gong to be quite a year for scapegoating! I'm already tuned out. Won't tune back in until November 7, 2012. I like this. I think we should always be thinking about where we are vs. the center point of that Triangle as I feel that the center is where Jesus was pointing us. E.g. "Love your neigher AS yourself" implies an equal balance (it also implies that you love yourself - not despise yourself as some abberations lead to). Likewise, when it's said of the second commandment "is like it (the first cultic direction), that implies to me that the direction towards cultic is a least a similar magnatude as towards the two other points (although I think a slight overbalance toward cultic would still honor "is like" while providing glue to keep you honest with the other two). "Jesus and Others and You. What a wonderful way to spell JOY! "...........old Sunday School song. A few signposts, if I may. 1. I'd remind you of your own exegesis of Bonhoeffer's letters from prison: Is there a danger of over-emphasising the separateness of God, others and self? Does there need to be a balancing tension within your system that recognises that God is to be found within oneself and the community; that personal identity can be realised within both God and the community; and that the seeds of community are nurtured by personal and divine values? 2. As other readers have commented, loving relationship requires otherness. Further, according to Personal Construct Pychology, the smallest unit of meaning requires the existence of both similarity and difference- how two elements are similar to each other and different to a third. Thus, your trinity of the loves could be seen as representing the basic unit of loving relationship - a kind of atomic structure of the spiritual world - hence the similarity to the trinune divine nature. As other readers have suggested, more complex 'molecular' inter-relationships could be built up by combining these triune 'atoms' e.g. each of three people relating to themselves, one another and God. 3. The other model that is brought to mind is that of the attachment triangle put forward by Heather Geddes in her book "Attachment in the Classroom". In her model, the three apexes are 'adult', 'child' and 'task'. She demonstrates how insecure psychological attachments (i.e. interrupted primary relationships) can manifest themselves through a disruption to one or more of the lines joining the three apexes. In other words, relationships with adults can become threatening and a child will relate through tasks; or learning may elicit anxiety and the child will seek constant adult interaction; or (in the worst case scenario) both lines are disrupted by a preoccupation with scanning the environment for threats and the need to control the environment. This highlights the inverse relationship between loving relationship and fear quite nicely, I think. These are necessarily brief pointers to ideas I have personally found very powerful and fruitful areas of study. I enjoyed your model of Love triangle, the appexes being Cultic, Therapeutic, and Humanistic. At the same time I am a bit phased by the model as each point seems to me to be of different disciplines of thought Cultic-Religious, Therapeutic-Psychological, and Humanistic-Philosophic...A model that comes to my mind that I have played with is the one of transactional analysis (T.A.) where the model of an ego structure comprises Parent, Adult, and Child. Parent containing injuctions/right-wrong/boundaries of acceptable behaviour. Adult containing the scientist, making hypothesis and testing them out through experience. Child containing innocence and freedom to behave and experience anything encountered through acting on curiosity...I find this pleasing as it seems to give a whole structure that could be reflective of the Godhead Father Son and Holy Spirit. Like (?) the Genesis man was made in the image of God. The preacher at our church recently used just such an image to graphically represent our relationships with God, Self, and Others. What I found to be missing in his sermon was our relationship with Creation -- and though I thought that he'd somehow work Creation into the the category of Other, it never came up. I may be wrong here, but I sense a similar thing happening in this post -- forgetting about a very key relationship, that of our relationship with Creation. Would you categorize this under Other? Does it deserve a spot of its own, and if so, how would you graphically represent that? Looking forward to reading anyone's thoughts on this! Completely agree, Ben. My understanding of the first book of the Bible (sorry to repeat myself from the last post) is as a description of the genesis of broken relationships between people and their neighbours, the natural world and God. My reading of the other 65 books is in terms of the process of reconciliation of all creation to God. The image I'm getting now is of four intersecting (indicating dialogic relationship) ellipsoids arranged as a triangle-based pyramid with God, self, community and the natural world represented by each. The central area of overlap could represent Christ "in whom all things hold together" with each ellipsoid gradually becoming pulled into a sphere from the centre until overlap is complete as God reconciles all things to Himself through Christ until God is "all in all". Communion could be understood as a sacramental (i.e. both symbolic and transformative) celebration of this process. Sorry - it's kind of the way my brain works... What do you think? Glad you said that Ben. I had a similar thought when I was looking at the posted love model. This is important to me because I do a daily reflection/evaluation of the last 24 hours of my life experience. In that I look at 4 things. My relationships with 1) God 2) Self 3) Others 4) Creation. In terms of graphical representations, I feel quite cautious. It seems to be phenominalogical/mystery. Fancy trying to describe the mystery of Creator and Creatures by a diagram on an A4 piece of paper. Though I do understand that such a practice can be useful in helping our deep thoughts to be revealed in relation to the subject, there, I think, can be no absolute ah--hah moment, no cracking of the code. Hitchhikers guide says 42 is the answer but cant remember what the question was! If I recall, the ethicist Peter Singer groups animals and creation in the category of Other. That sounds like an amazing daily practice. So for you (and I think for me as well) Creation does merit its own category which would significantly add to the number and variety of combinations that Richard mentions above. Are we willing to deal with such complexity -- three categories is so much easier! And I'm right there with you in terms of a graphical representation. Here's an idea that might promote unity among the different church types: I understand the need for the taxonomy and some deep thinking about what we are called to be and do in this world as a community and as individuals. But what would happen if we valued and celebrated our differences as groups? Each individual in the body contributes differently (Romans 12:4), could each church have a specific calling in the world also? We are really only talking about degrees of difference. Very few churches focus exclusively on one aspect of the triangle. I'm working on an interdisciplinary PhD in theology and psychology, developing a trinitarian, relational model of the self, and the way I propose to incorporate God, Creation, Other and Self in a trinitarian structure, is that Creation (the physical self), Other (the social self), and Self (the psychic self) are three intersecting circles ("holarchies") that together make one big circle representing God (the divine self): 3 in1! That also means that all three modes of relating are legitimate expressions of our connection with God, but with any one missing we have a lopsided relationship with God. This solves the problem of Richard's model where it sounds like a church who is OS or SO has no relationship with God. 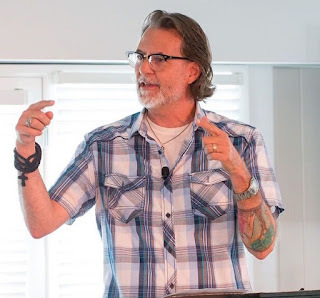 Christian Schwartz has applied a trinitarian model to analyzing faith communities in his Natural Church Development series http://www.ncd-international.org/public/index.html).